This book has an amazing cover and one of the most beautiful titles. Autum Grey has written a beautiful book.The story inside the beautiful cover is raw, ugly and honest at the most parts. It is also a love story of Cole and Eleanor and story of Cole and his brother Josh, who in my opinion is the hero of the story. These three would do anything to keep each other safe. Sometimes we make the hardest of choices, hoping that one day we will be granted forgiveness. There’s no escaping the past, and sometimes the children have to pay the price for their parents mistakes and unfulfilled dreams. 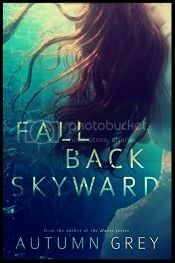 Despite being a story filled with angst, hatred and regret, Fall Back Skyward is also a story of second chances, forgiveness and all conquering love. This is my second favourite quote of the book and it’s about the brothers, Cole and Josh. I have been angry at him for so long, that the rage I’ve been carrying around all this time has overshadowed his heroic actions on the day he became my hero, my savior. The day my world turned silent. I have added a song from Volbeat to the Jukebox for this story. Maybe forever? 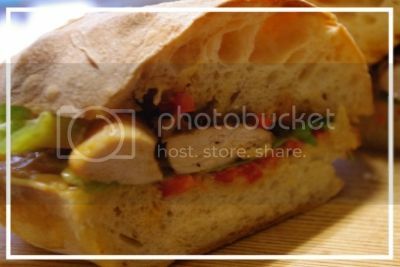 Chicken sandwich must be Cole’s favourite, since he eats it twice in the book, first when it’s made for him by his little brother and second time, when his mum prepares it. So that’s why I had to make one too. 1. The Recipes for the rolls, paprika mayonnaise and caramelized onion is here. 2. Take a oven dish and put the chicken fillets in. Sprinkle them with sesame oil and sea salt. 3. Cook the fillets with the method of your choice; frying pan, grill or in the oven. 4. Cut the rolls open. Smear the bottom and top with the mayonnaise. 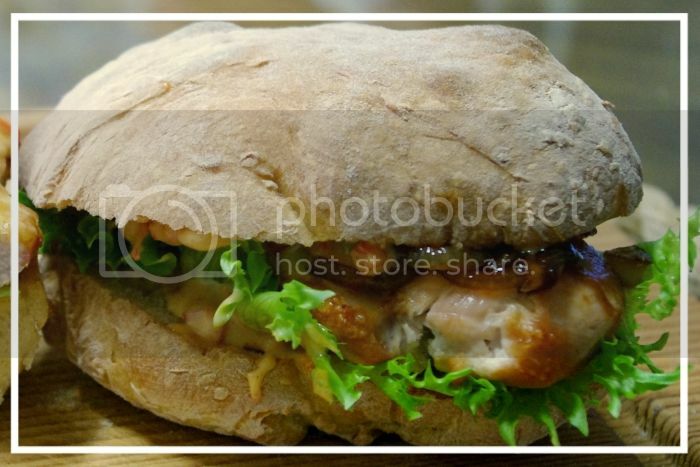 Add lettuce on the bottom half, then the chicken fillet, top with caramelized onion and set the top side back on. Enjoy! Cole, Eleanor and the hero of this story, Josh. Not a love triangle, but just plain, pure love between two brothers and a girl, each one willing to do anything to keep their loved ones safe. Sadly, it also means that someone always gets hurt in process. And being safe is relative concept. Fall Back Skyward has many layers, intertwining together. Story flows effortlessly between the present and the past. Autumn Grey has written a story that is raw, in many ways ugly and captivating. The story is about children having to pay for their parents’ past mistakes. To be punished for the lost dreams. This is a story of twisted mind, bitterness that denies everyone their happiness. There’s so much angst, regret and pure hatred in this book, but it also shows, that there is no stopping life, it goes on no matter the circumstances. The story of Cole, Nor and Josh has also the most beautiful moments, love in its deepest. Surprises that grant you happiness you never thought you were entitled to. Next PostWilla Thorne: A Sacred Vow COVER REVEAL!